If the blues has a truly mythic figure, one whose story hangs over the music the way a Charlie Parker does over jazz or a Hank Williams does over country, it's Robert Johnson, certainly the most celebrated figure in the history of the blues. Of course, his legend is immensely fortified by the fact that Johnson also left behind a small legacy of recordings that are considered the emotional apex of the music itself. These recordings have not only entered the realm of blues standards ("Love in Vain," "Crossroads," "Sweet Home Chicago," "Stop Breaking Down"), but were adapted by rock & roll artists as diverse as the Rolling Stones, Steve Miller, Led Zeppelin, and Eric Clapton. While there are historical naysayers who would be more comfortable downplaying his skills and achievements (most of whom have never made a convincing case as where the source of his apocalyptic visions emanates from), Robert Johnson remains a potent force to be reckoned with. As a singer, a composer, and as a guitarist of considerable skills, he produced some of the genre's best music and the ultimate blues legend to deal with. Doomed, haunted, driven by demons, a tormented genius dead at an early age, all of these add up to making him a character of mythology who -- if he hadn't actually existed -- would have to be created by some biographer's overactive romantic imagination. Of course, Johnson's influences in the real world were far more disparate than the legend suggests, no matter how many times it's been retold or embellished. As a teenage plantation worker, Johnson fooled with a harmonica a little bit, but seemingly had no major musical skills to speak of. 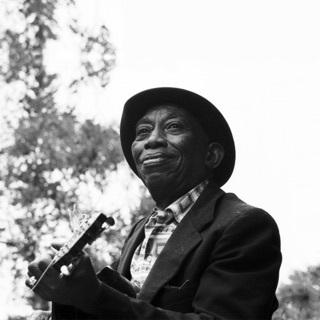 Every attempt to sit in with local titans of the stature of Son House, Charley Patton, Willie Brown, and others brought howls of derision from the older bluesmen. 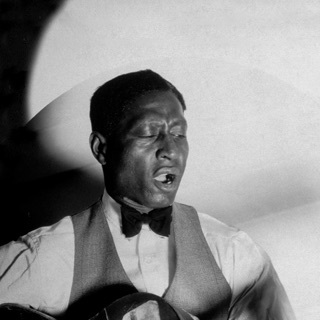 Son House: "We'd all play for the Saturday night balls, and there'd be this little boy hanging around. That was Robert Johnson. He blew a harmonica then, and he was pretty good at that, but he wanted to play a guitar. He'd sit at our feet and play during the breaks and such another racket you'd never heard." He married young and left Robinsonville, wandering the Delta and using Hazelhurst as base, determined to become a full-time professional musician after his first wife died during childbirth. Johnson returned to Robinsonville a few years later and he encountered House and Willie Brown at a juke joint in Banks, MS; according to House, "When he finished all our mouths were standing open. I said, 'Well, ain't that fast! He's gone now!'" To a man, there was only one explanation as how Johnson had gotten that good, that fast; he had sold his soul to the Devil. But Johnson's skills were acquired in a far more conventional manner, born more of a concentrated Christian work ethic than a Faustian bargain with old Scratch. He idolized the Delta recording star Lonnie Johnson -- sometimes introducing himself to newcomers as "Robert Lonnie, one of the Johnson brothers" -- and the music of Scrapper Blackwell, Skip James, and Kokomo Arnold were all inspirational elements that he drew his unique style from. 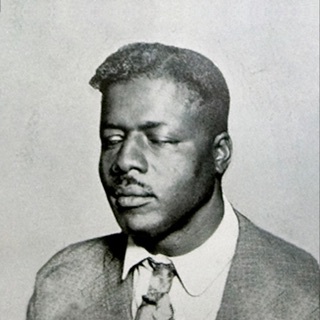 His slide style certainly came from hours of watching local stars like Charley Patton and Son House, among others. Perhaps the biggest influence, however, came from an unrecorded bluesman named Ike Zinneman. We'll never really know what Zinneman's music sounded like (we do know from various reports that he liked to practice late at night in the local graveyard, sitting on tombstones while he strummed away) or how much of his personal muse he imparted to Johnson, if any. What is known is that after a year or so under Zinneman's tutelage, Johnson returned with an encyclopedic knowledge of his instrument, an ability to sing and play in a multiplicity of styles, and a very carefully worked-out approach to song construction, keeping his original lyrics with him in a personal digest. As an itinerant musician, playing at country suppers as well as on the street, his audience demanded someone who could play and sing everything from blues pieces to the pop and hillbilly tunes of the day. Johnson's talents could cover all of that and more. His most enduring contribution, the boogie bass line played on the bottom strings of the guitar (adapted from piano players), has become part-and-parcel of the sound most people associate with down-home blues. It is a sound so very much of a part of the music's fabric that the listener cannot imagine the styles of Jimmy Reed, Elmore James, Eddie Taylor, Lightnin' Slim, Hound Dog Taylor, or a hundred lesser lights existing without that essential component part. As his playing partner Johnny Shines put it, "Some of the things that Robert did with the guitar affected the way everybody played. He'd do rundowns and turnbacks. He'd do repeats. None of this was being done. In the early '30s, boogie on the guitar was rare, something to be heard. Because of Robert, people learned to complement theirselves, carrying their own bass as their own lead with this one instrument." While his music can certainly be put in context as part of a definable tradition, what he did with it and where he took it was another matter entirely.